I'm staying away from all the craziness today. No Times Square, no parties, no drinking. I'm so boring! I'm close to finishing a new poem. LitFest at SMU. 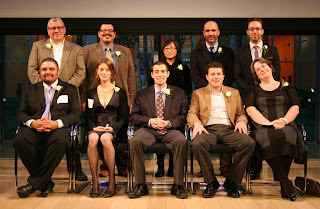 The other writers are Dean Bakopoulos, Shannon Cain, Amina Gautier, Tyehimba Jess, Krys Lee, Corey Marks, and Martha Rhodes. I miss my family in Arizona. Each and every day. Love watching videos of poets reading. Here is David St. John. The first poem he reads is one of my favorite poems. Carl Phillips on Randall Jarrell. Can I tell you something? I cried a bit yesterday. I cried because I'm so happy and grateful. I can't wait for all the amazing readings coming up this spring in NYC. 2012, I'm ready for you. Bring on the fireworks. rain all day. thank goodness i bought a good umbrella when i got here. i needed it today. i finally found a good diner! i just found this on youtube. robert hayden reading middle passage. i can't wait to use this when i teach again. i will be reading at the tucson poetry festival this april. i can't wait to hear the other readers: karyna mcglynn, ander monson, and patricia smith. good day writing-wise. i wrote a new stanza, and revised a few lines. oh the pleasure of taking out a comma, then putting it back in. blackbird is one of my favorite journals, print or online. the latest installment doesn't disappoint. In 1993, Luis J. Rodríguez released "Always Running: La Vida Loca," a best-selling memoir that's been celebrated for its honest portrayal of a youth on drugs and involved with gangs in Los Angeles. The impetus for the book was an attempt by the author to save his son Ramiro from succumbing to the temptations that compelled Rodriguez to join a gang by age 11 and end up in jail as a teenager. i get very emotional when i think about this year. i have a book coming out in april. i'm living in nyc. dreams do come true. 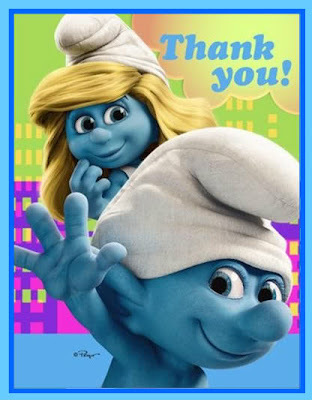 thank you, my little poems. thank you, the whiting foundation. i can't wait to attend awp chicago. i want to thank many of you in person. you, my fellow poets. you, my fellow bloggers. your support has meant the world to me. i didn't get here on my own. i know that. today i wrote three lines that i'm very happy with. three lines!! that's a lot for me. thank you, luis omar salinas. thank you, lorna dee cervantes. why am i thanking these poets? their poems have influenced my work; my first book is an homage to their work. okay, i'm starting to get teary eyed! ha. i woke up late. then dressed and headed off to the village. i had a tres leches latte at my favorite coffee shop. i sat by the window and watched people come and go...talking of michelangelo. i can't tell you how much i love living in nyc. the diversity is thrilling, good food is everywhere, and everyone is a poet. thank you, phyllis, for the gifts! currently reading: the free world by david bezmozgis. i found the perfect gift for a friend at the holiday market at union square. Few of her students are aware that she is not just their patient, quiet teacher — Choi is also a noted, award-winning poet. i have a poem in the new installment of devil's lake. this is one of my favorite poems in my forthcoming book. i had a hard time finding a home for it. many thanks to the editors of devil's lake for taking it! took those photographs of my new neighborhood. just need to upload. it was freaking cold today. i stayed in. Black Blossoms is named one of the best poetry books of the year by the Boston Globe. These are somber, autobiographical formal-like lyrics that encounter dread and occasional joy the way a jeweler enters a watch and they are – most of them – beautifully rendered as most of Cole’s poetry has been these last few years. He has, I think, become a master. The very handsome Jeffrey Brown speaks to Rita Dove about editing the Penguin Anthology of Twentieth-Century American Poetry. There's even a clip of Rita dancing with her husband. Very cool. 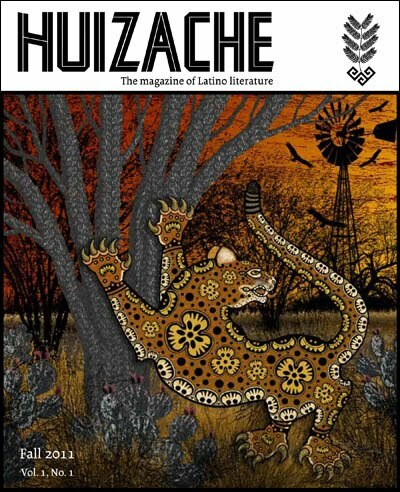 I'm giving away a free subscription to Huizache, a new lit magazine put out by the CentroVictoria of the University of Houston-Victoria. The magazine seeks to publish "works that challenge ethnic, gender, or social stereotypes, and though the magazine’s focus is Latino, it is not limited to it." I'm very proud to be in the inaugural issue along with Sherman Alexie, Sasha Pimentel-Chacon, Sandra Cisneros, Alex Espinoza, Diana Garcia, Tonantzín Canestaro-García, David Garza, Aracelis Girmay, Estella Gonzalez, Tim Z. Hernandez, Juan Felipe Herrera, Hettie Jones, Lorraine López, Sheryl Luna, José Montoya, Willie Perdomo, Emmy Pérez, Rene Perez, Benjamin Alire Saenz, Tim Seibles, Gary Soto, and Maria Venegas. If you want to toss your name into the hat, leave your name in the comment box! here are some small press books recommended by rigoberto gonzález. hung out with a friend, ate some good food, bought a great coat, and finished the evening having a drink (or two) at a bar. gosh, i love my new coat. it's gorgeous: espresso-colored wool, vented back, and it looks great on me. i need to start cooking at home! what kind of stuff can i make? well, i know a few simple but yummy pasta dishes, and i learned how to bake a whole chicken when i lived in lewisburg, pa.
i'm launching my website soon. The best thing someone ever told me about websites is to view yours as a billboard not pamphlet. simple is best, i say. 3. network with peer poets to enrich and further disseminate Latina/o poetry. In order to help mentor the next generation of Asian American poets, Kundiman is sponsoring an annual Poetry Retreat in parternship with Fordham University. During the Retreat, nationally renowned Asian American poets will conduct workshops with fellows. Readings, writing circles and informal social gatherings will also be scheduled. Through this Retreat, Kundiman hopes to provide a safe and instructive environment that identifies and addresses the unique challenges faced by emerging Asian American poets. This 5-day Retreat will take place from Wednesday to Sunday. Workshops will not exceed eight students. coming this week: photos of my new neighborhood. everybody is a critic. ha. you can pre-order my book in germany! i'm a little behind on email. my apologies! i will catch up this week. there are a lot of russian restaurants here. i've never eaten russian food. have you? i can't wait to try it. i'm spending my first night at my new place. thrilling, no? i went shopping today for a few things. a blue rug, an orange throw, and orange bath towels. for the first time in my life, i'm fearing tax season! ha. I am very familiar with David Welch's poetry, as I have been following him for the last five years or so. i wish i had fans like david welch. sigh. i need to spend my time on the subway more productively. all i do is listen to music. that's getting old. maybe i should juggle? i'm sure the other passengers would love that! i also have a poem in the new issue of jubilat. Latino/a poets who have not had a book professionally published can enter the contest. The winner will receive $1000 and publication at the University of Notre Dame Press under a standard contract, as well as an invitation from the Institute for Latino Studies to read from his/her work, along with the judge, upon publication of the book, with all expenses paid. i found a place!! finally. a room with kitchenette in rego park. close to tons of stores and the subway. hola, readers!! long time no blog. I've been busy exploring NYC, looking for a room in a good place, and attending readings. I've been here for a week and i've already been to four lit events. i'm blogging using my iPhone. i love it. I haven't gotten lost once and when i'm out and about, I can google what's nearby, etc. i know this is old news to most of you but i'm late to the party. sending a shout out to the lovely NYU mfa student who recognized me and said hello!! Please, forgive me. i'm terrible with names. but she knows who she is. i'm walking around like crazy. i love stumbling upon a cool coffee shop or small bookstore. this is a city of beautiful people. i feel out of place. ha. i don't know how to link with this new toy, but i have two poems in the december issue of Poetry, which you can read online. i also have a poem in the new issue of jubilat. off to central park to read. Rigoberto Gonzalez is reading at Open Books tomorrow at 7:30pm. He will be reading from BLACK BLOSSOMS. To Corral, the surrealism and strangeness are that he has been able to forge a career, a life, from the words he struggles to scratch on yellow legal pads and type into his laptop. He sometimes finds himself on a flight, or being feted at a hotel before a reading, and considers the fact that it was his poetry that got him there. this friday i'm getting on a plane and flying to nyc. i won't be coming back to the desert for a bit. i'm hoping to stay in nyc til august. winter, xmas, spring, and summer. why am i going? well, it's been one of my lifelong dreams to live and to write in the big apple. i'm going to explore the city, attend poetry readings like crazy, and draft new poems. oh i just can't wait to walk around. that's my favorite thing. walking til i find a nice cafe. sitting down with a coffee. reading. writing. oh my little poems, how can i ever thank you for this gift? are you in the city? let's have coffee! Send me an email and I'll send you a book. Black Blossoms, Rigoberto González's third collection of poems, came out last month. The book has already garnered some stellar reviews. Wanna win a copy? You sure do! Well, you are in luck because I'm giving away three copies of the book. How do you win a copy? Well, are you cute....Ha, just kidding. I'm not a wilde boy. Just leave a comment here or on my facebook wall. Say: I am a black blossom and you will be entered in the give-a-away. Manuel was reared in the small town of Dinuba in California’s Central Valley. He is bold in his writing, shy in manner, a film aficionado. His body cuts a lean muscular form on the sofa. He wears dark jeans and a collared t-shirt. A chiseled jaw, thick raven black hair gelled into spikes, but his eyes are the thing. Large and tapering attractively at the corners, they lure with all the possibilities of the moment. One feels the charm in it. Next time I see Manuel I'm going to stare into his eyes and get lost. Thompson Room, Barker Center, 12 Quincy Street. I enjoyed the roundtable talk with Rosa and Aracelis. I stress and stress about my prose. I pour all I have into my poems; there's not enough mind-matter leftover for interviews. But Rosa and Aracelis write amazing prose. Yeah! One of Gonzalez's recurring trademarks is his obsession with similes. Due to spiritual reasons, I've always been suspicious of them. Why not accept the fact that everything in this universe is on some level uniquely its own? To imply that something is "like" something else is to ungenerously take away from the thing's specialness. 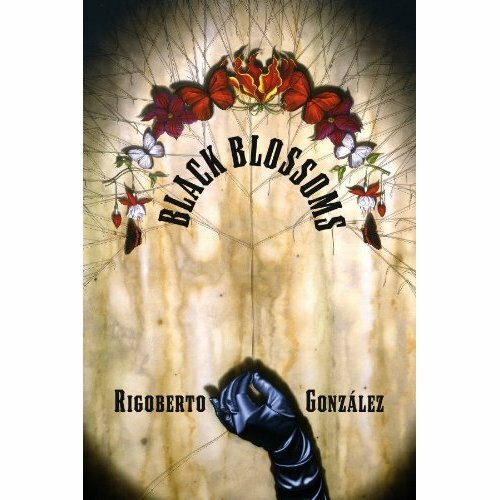 But in Black Blossoms, Gonzalez's book, which consists largely of persona poems, the figurative language is used less to compare but to show a different side, a nuance, or a shocking oddity of and within the same thing. Ten emerging writers including a novelist in New York City and a poet in Casa Grande, Ariz., are among this year's winners of the Whiting Writers' Awards. if i wasn't moving to nyc later this fall, i would consider moving to chicago. thanks to carlos cumpián for inviting me, and thanks to kimberly dixon being such a wonderful host. i got a tour of the poetry foundation buidling. it's beautiful. and i got a sneak peek at the TOC of the december issue, which includes two of my poems. Gilb explores fresh territory with "Before the End, After the Beginning": for the middle-aged, middle-class Chicano (neither young or old, rich or poor, Mexican or American), upward mobility is more of a zigzag. The dust never settles, and the man exists in a state of perpetual discomfort because -- like burly Texan Ramiro, who rents a low-ceilinged room in the story "Hacia Teotitlán -- "he didn't fit" completely into a single box.